So you have a brand new MLS/MLIS or you’re working on one. You’ve started looking at position ads and most require library experience. You don’t have library experience. 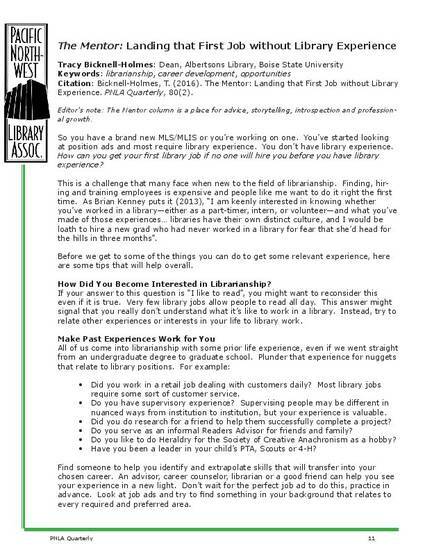 How can you get your first library job if no one will hire you before you have library experience?